Actor Kevin Costner is in the middle of a contract dispute in South Dakota over the placement of 17 buffalo and Lakota warrior sculptures that he had commissioned from artist Peggy Detmers. The sculptures were originally intended for Costner’s proposed resort The Dunbar, but the resort itself was never built and the sculptures were later installed as the centerpiece of a visitor attraction on an adjoining property, dubbed “Tatanka.” Detmers claims she never authorized Costner to install the sculptures at the new location and sued him for breach of contract. The trial court found in favor of Costner, finding that the sculptures were “agreeably displayed elsewhere.” First, the sculptures were placed “elsewhere” because any place that is not The Dunbar satisfied this contractual provision. Furthermore, the sculptures were found to have been “agreeably displayed” at the alternative location because Detmers had been involved and informed during the location and design process and even spoke at Tatanka’s grand opening. As a result, she could not have reasonably thought that The Dunbar would still be built at some further time in the future. The matter is presently before the South Dakota Supreme Court, which recently heard oral arguments on three issues: (1) whether the sculptures were actually displayed “elsewhere;” (2) whether Detmers agreed to display the sculptures at Tatanka in the absence of a promise from Costner that The Dunbar would be built by 2010; and (3) whether construing the term “elsewhere” literally would create an absurd result. Detmers argued that, given that Tatanka is on the same ground as the proposed resort, she reasonably thought that The Dunbar would still be built after Tatanka was opened and that she never agreed to having the sculptures placed specifically at Tatanka itself. 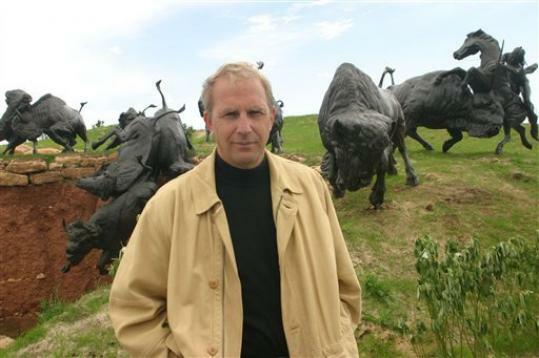 Costner’s lawyers responded that Costner would not have personally invested $6 million into Tatanka if Detmers had not agreed to installing the sculptures there.